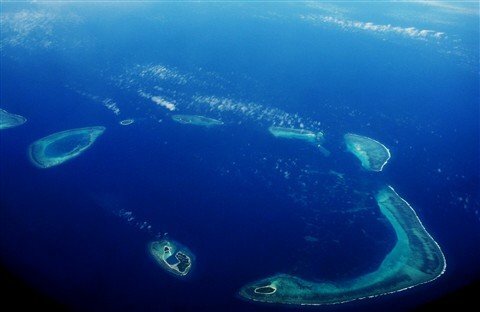 China starts running tourism cruises to Paracel Islands, a chain of disputed islands in the South China Sea by next month, state media reports. Chinese news agency Xinhua said tourists would live on board ships, as the largest island has only one hotel and no fresh water. The islands, known in China as Xisha but the Paracels elsewhere, are claimed by China, Vietnam and Taiwan. China has controlled Paracel Islands since a short war with South Vietnam in 1974. In recent years tensions have been rising over the over-lapping territorial claims in the South China Sea, amid a more assertive stance from China. Analysts view the latest move as another step in China’s battle to demonstrate that the potentially oil-rich area is Chinese. Xinhua quoted the Haihang Group ship company as saying that a 47,000-tonne ship, capable of accommodating nearly 2,000 passengers, was ready to sail and that another was being built. The first tours would take place ahead of the May Day holiday, said Tan Li, the executive vice governor of Hainan province, just north of the islands. Tan Li said tourists would eat and sleep on the ship but visit land for sightseeing, Xinhua reports, and that the currently limited facilities would be improved by the addition of more ports and sanitation infrastructure. Last year, Beijing set up a local government office on the largest island, Yongxing – known in English as Woody Island – to oversee its territorial claims, a move which angered Vietnam. And in March this year, Vietnam said China had fired on one of its fishing boats in the area, setting it alight. China said the Vietnamese boats were illegally fishing in what it says is its territory when the incident occurred on March 20, and that it had fired flares not weapons. The South China Sea, seen to be rich in oil and natural gas reserves, has been a source of maritime conflict between several countries.